The world of microbiology is a fascinating one teeming with a massive array of microbes – both harmless and pathogenic. For some people, this world is one that not only provides an exciting area to imagine and investigate, but it is a world that can become a fulfilling career path as well. Perhaps you are a person who has been curious about microbes since your childhood – rather than shy from germs, you wanted to learn more about them! Or, perhaps your passion for the unseen microbe world came to fruition during your school years, when you enjoyed laboratories and bacteria studies that focused on this field. Whatever brought your interest into the world of microbiology, now is an excellent time to consider a career in microbiology. With a good basic starting salary of approximately £19,000 to £25,000 a year, you can still gain the experience that will bring you into a salary of around £31,000. In fact, team managers can earn £36,500 and consultants may earn £61,000. Microbiologists work in the area of organisms that are far too tiny to be viewed by the naked eye, such as bacteria and viruses. They study these organisms and various infectious organisms, most of which can only be seen with the aid of a microscope. Microbiologists also study the interaction between microbes and humans. By researching and analysing microbes, a microbiologist can find out how these organisms influence the lives of people around the world. The average microbiologist will enjoy a career in a team, whether that is in hospitals or working for a private company. In microbiology, a person will usually work with other scientists and technicians in a laboratory. In fact, microbiologists work in virtually every industry and they hold a great deal of responsibility. By working in microbiology, you can allow your career to develop, which means you can specialise in areas such as food. 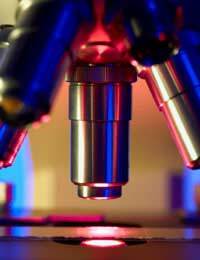 Cell biologists, for example, investigate how molecules behave on or in a cell. In turn, these actions then guide how a microbe and cell functions. A biotechnologist would focus on the manipulation of genes to create desired traits in a microbe. In this way, a biotechnologist will create new products for our use, such as medicines. Microbiologists who have a career in the food industry may analyse samples to determine potential pathogens such as viruses and bacteria. Their career work is important because it helps to keep the food supply safe. If you are familiar with a food safety specialist, then you can extend that knowledge to the career area of microbiology. A microbiologist essentially works as the foundation to a food safety specialist. While food safety specialists work more in the microbiology quality control aspects – the areas where human actions influence food safety and quality – a microbiologist performs laboratory types of analysis to actually identify and study microbes. To work as a standard microbiologist for the National Health Service (NHS), you will need at least a bachelor's degree in microbiology, with practical work in the area as well. Some people adore working directly with the general public while others prefer the ability to work more remotely in a laboratory with other health professionals. The flexibility and range of environments for a microbiologist are seemingly endless. Some will also work in academia, where they conduct research on different aspects of microbes and relevant issues to the field. Most of these microbiologists will have a doctorate, with various post-doctoral positions at universities and similar places. Others can choose to obtain a certificate or diploma in the microbiology field and may work in a technician role for a microbiology laboratory. Another area of work for microbiologists is to start your career with the Health Protection Agency (HPA). The HPA works to keep the public safe and informed about issues affecting their health. If you are fascinated by the unseen world of microbes and you like detail-oriented work in a microbiology laboratory, then an exciting career in microbiology may be the best fit. You can put your curiosity and eventual university training to the best use possible as you learn more about microbes while helping to protect the public from microbial pathogens. my question is :is micrology career harmful to the person who himself is a microbiologist, as he is constantly dealing with microbes in laboratory?